Austin High offers many Advanced Placement courses in all subject areas, including Computer Science, English, Fine Arts, Languages, Mathematics, Science, and Social Studies. While many of these courses are mostly designed for juniors and seniors, opportunities for AP courses are also available at the sophomore year. Stephen F Austin High School desires that all students take AP exams for the AP classes that they have taken. 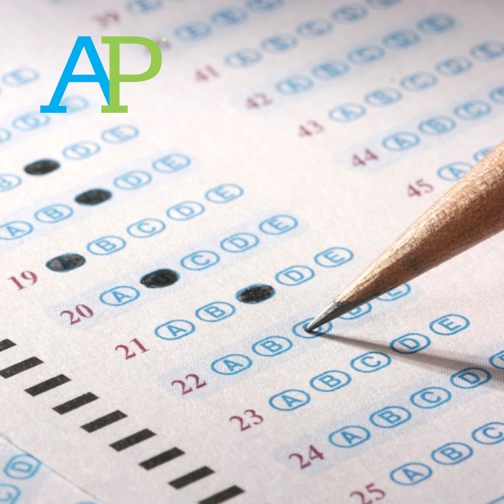 Scoring well on an AP exam can often earn students college credit for their high school class, saving a significant amount on tuition. REGISTRATION RECEIPT: To complete registration, students must answer all of the required questions. Registration is not complete until students have printed the pdf of the confirmation page that is provided at the end. We know that parents may desire to register their students for exams. We strongly recommend that parents and students are both present while registering to ensure that the correct exams are ordered. Students should pay attention to exam date and time. Many exams run longer than expected; please don’t overbook or double book yourself. COST OF EXAM: This year each AP exam costs $94.00. Stephen F Austin High School desires that every student be able to take their AP exams. Students who receive free/reduced fee lunch will pay $29.00 per exam. Students requiring financial assistance should contact Ms Isabelle Salazar, isabelle.salazar@austinisd.org, in the Library to learn more. PAYMENT METHOD: Stephen F Austin High School is excited to offer families the convenience of paying exam fees online at the time of registration. Please be sure to have a credit card or debit card available before beginning registration. Paying online is a great way to make sure that payment has been made while avoiding mailing payment. Tuesday, February 26, 2019 at 10:00 PM - Registrations and payments after this date will incur a $15 late fee per exam. Friday, March 5, 2019 at 10:00 PM - Registrations that have not been paid for will be cancelled and exams will not be ordered.